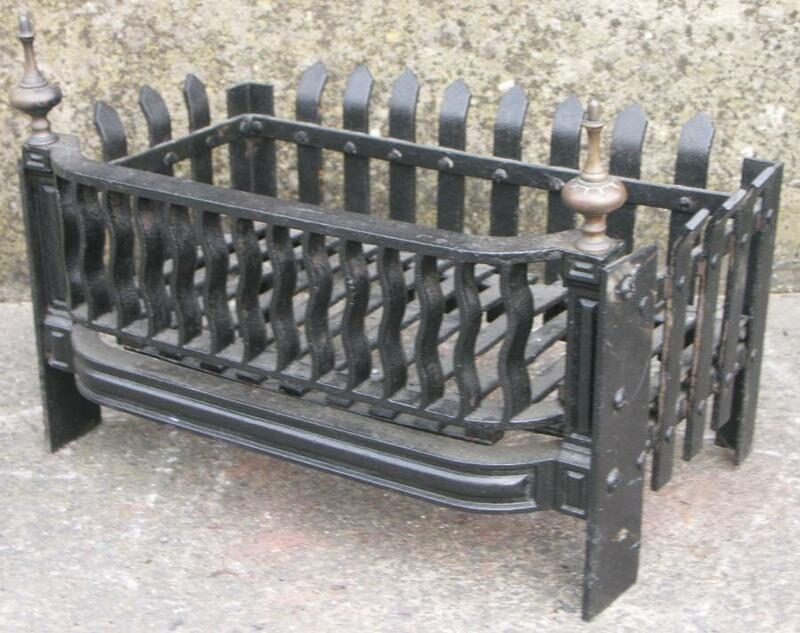 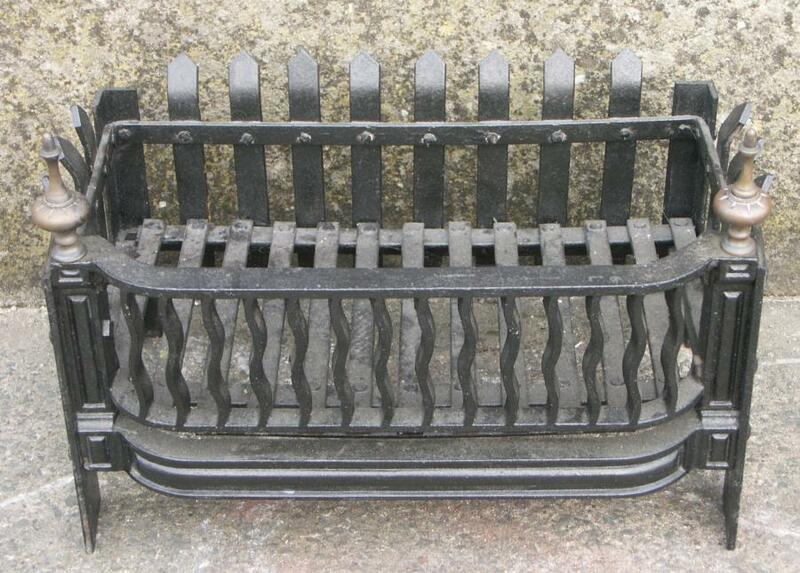 A useful grate made up within the last 50 years using a Victorian grate front with brass finials. 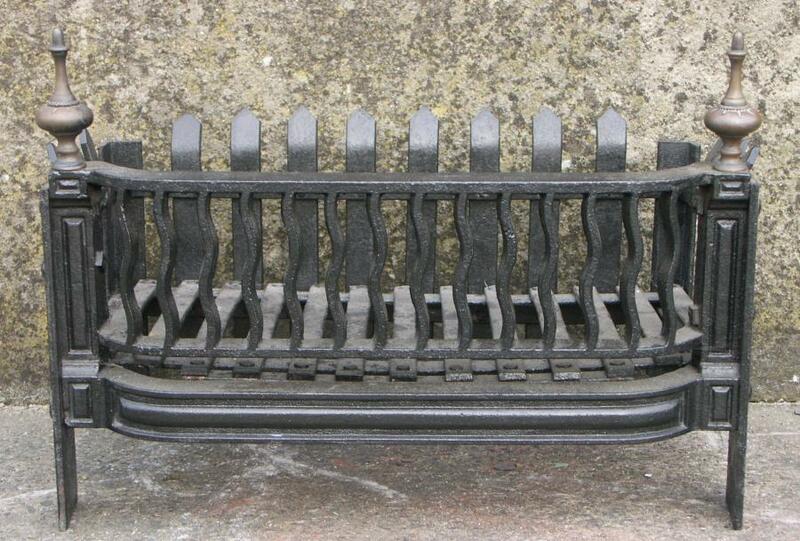 Dimensions in inches: 19 wide by 13 deep by 10 high at front, 14 high including finials.Interior is 18.5 by 11.5 by 6. 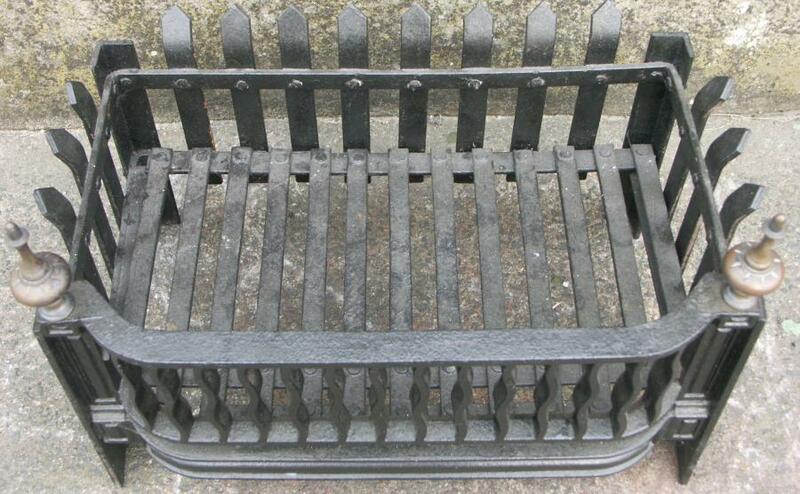 Can be posted easily.